I have created a icon to the new category "Portuguese Inventory of Architectural Patrimony"
Looks good. Need to convert it to a gif file before it can be used though. HELP! The Free Community Book Exchanges category is in need of an icon. I'd like it to be clean and crisp and not a shrunk down image. I like the quality of the Insect Hotels icon. Anyone want to create one and post it here? I'm embarrassed saying this because I'm a graphic artist but changed jobs and don't have the software nor the time to mess around with creating one. 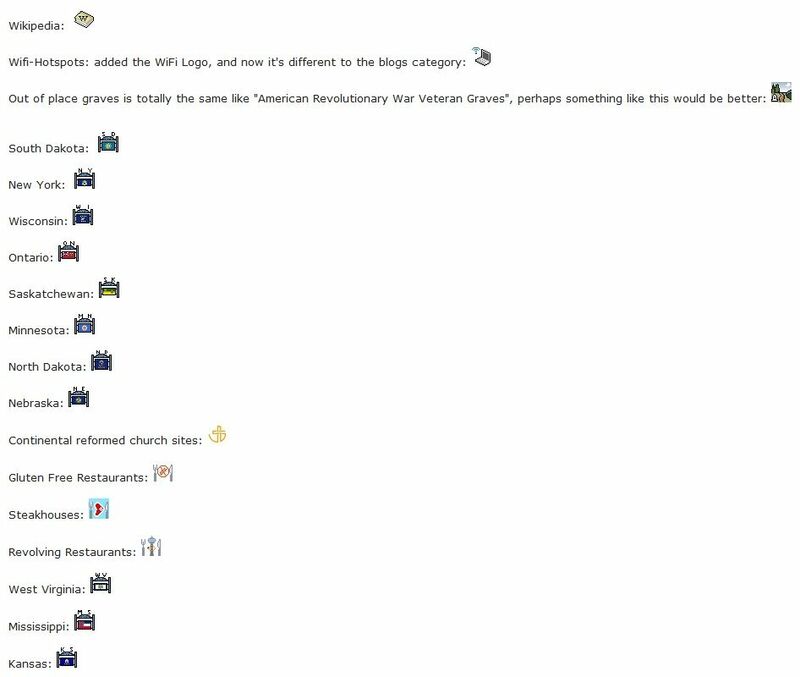 I'M STILL NEEDING ICONS FOR MY TWO CATEGORIES: Free Community Book Exchanges and Dated Architectural Structures Multifarious... Anybody interested in creating a couple of cool icons for these? I like this one much! Maybe someone can create a nice one. I love them! Perfect! Now how do we get these as category icons? I also need an icon for the new Feed the Animals category. Want to try this one too? I can't see the icons. We can use this for "Feed the Animals": It's the "Petting Farms" icon. We have to do nothing more than posting the icons here, after some positiv reactions they will be added by an admin. They are good, I would change the colour of the "Book exchange" icon a little bit. The green is too loud, the colours should fit to the existing icons. Well done! Okay, feel free to finetune them as you wish .. thank you! Dear Admin, load them up please. Thanks Rikitan! I worked on some icons, let me know your thoughts. Thanks! Super Cool, my icon is already in production. I am tickled pink! So I would say, let them come. The new icons are online - thanks to Lumbricus for creation and to the Admin for installation! Dutch Leader & Officer in several Categories. 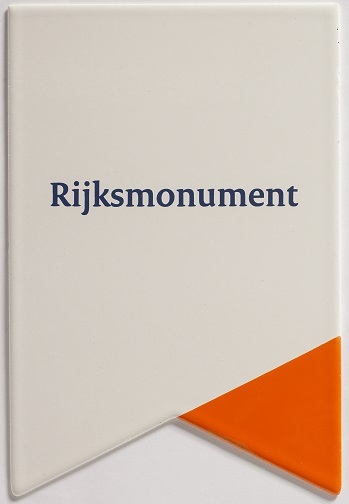 Maybe someone, who is handy with icons, can take a look at this example for our Rijksmonumenten - Dutch National Monuments group. This is the new official sign, created in 2014 by the Dutch government for the Dutch National Monuments. It's an Off-white plate with orange corner. I like the bricks on the side also, very very good. and the orange patch look more like triangle? I tried it with paint but messed it up. Thx for publishing the new icon in our Group Rijksmonumenten - Dutch National Monuments. And thx to razalas for making it. A few posts ago lumbricus suggested to use the icon of the Petting Farms and Zoos category, I tried to create another so the category have a unique icon. What do you think of the icons (or the alternative versions)? Yea! I like those icons! They should be included soon. As leader of the Draw Wells category I would choose the first iscon. At the Transformer Stations I would prefer the second. For Unesco I would choose the second one, I like both wells so both are okay, 'Historic Transformer Sub-Stations Buildings' please fi67 choose one, 'Timelines' perhaps the first one? Great ones! All of them! I prefer the second version of the transformer station icons. For draw wells I like the first one more, but maybe that is geographically biased, they look more like that where I live. I am unsure for UNESCO. The first one fits better to all the rest of the icons, but it is not clear that it is about biospheres and not heritage sites. The second one is clearer in this respect, but the style is a bit different. Hi Razalas, Thanks for the suggested icons for the UNESCO Biosphere Reserve category. We like the second one the best. I used the standard icon for Benchmarks and did a little research to use the right colors on the flags. I have uploaded these icons to their respective categories. Thanks to razalas for creating those icons! And thanks to Waywizard for putting them into the system! I have worked in some more of the icons that are missing. The Off-Leash Dog Areas, Dog Friendly Hotels and Dog-Friendly Restaurants use the same icon that is the Animals department icon . The Bed and Breakfast, Lighthouse Bed and Breakfasts and the Recommended Accommodation use the same icon that is the Lodging sub-department icon . nice. First about the dog head. I would like to see the same head like our exiting dog has (at the moment it looks a little bit different). If so, the Dog Friendly Hotels would be okay. For the Dog-Friendly Restaurants we have to think about another idea, 'cause this looks not very dog friendly, more like a restaurant which serves dogs, sure in China you would find some. Off-Leash Areas is okay, but again I would like to see the 'old' dog in the green. Posted Image Recommended Accommodation -> Can you make the hand a little bit smaller, just a little bit? Thank you for your comments, about the dog head i have used the existing dog head took it from here , do you think I should try to put the head of the complete dog? Now I know why I don't like the dog head, it's a dead dog head... from the pet cemetery. Please try to get the head of the complete dog. Thanks! Off-Leash is perfect now, also the Recommended Accommodation looks good now. The Dog Friendly Hotels with the head of the complete dog icon. We need another new category icon for our newest category Bobsleigh Chutes and Mountain Slides. Maybe someone can create one. Thanks!! Looks a bit like a sledge. But will be OK. Can be uploaded. This is a great icon MountainWoods, how about adding Blue Eye Cemetery to the category. Remember NO original photographs. Not sure what you mean by that. I recently waymarked a Blue Eye Cemetery, but the two photos in the waymark are originals. One of them even has my wife and our car in it. Can't do that by armchair. I guess I'm missing the point. "I found FindAGrave through the Waymarking hobby. See http://www.Waymarking.com. I have contributed many Waymarks to the Worldwide Cemeteries category using information I got from FindAGrave."